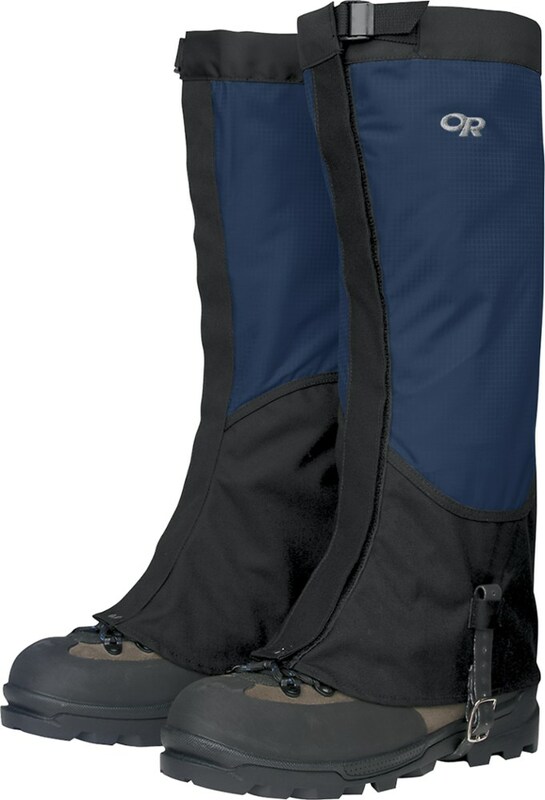 Visit Equinox's Mountain Gaiter page. 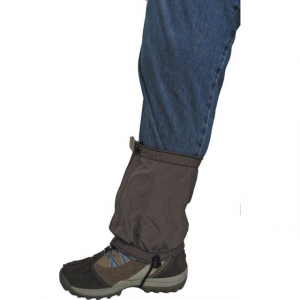 "Equinox Men's Gaiters Mountain Gaiter MFG517. 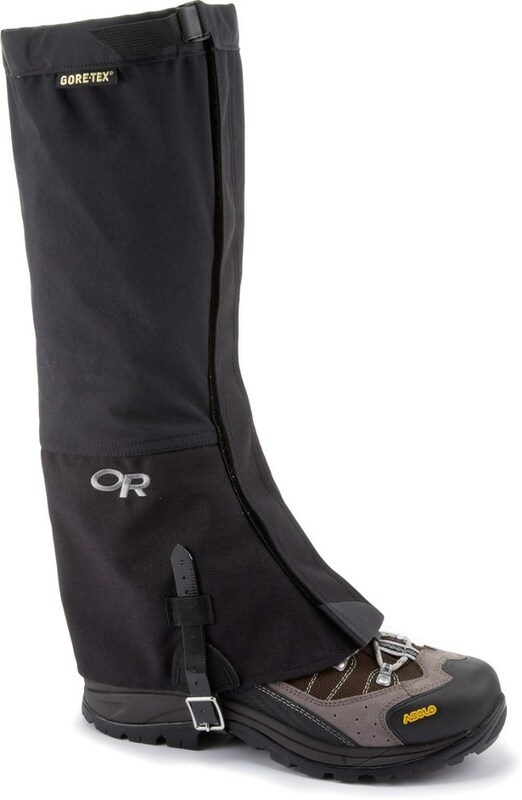 Contour cut with elastic mid and heel section permit comfortable fit over most double boots as well as smaller ski boots. 7 cordura bottom. 10 waterproof/breathable upper. Lined with Supplex for tougher higher coverage. Front zipper with Velcro secured cordura lap. Shock-corded upper with cord lock. 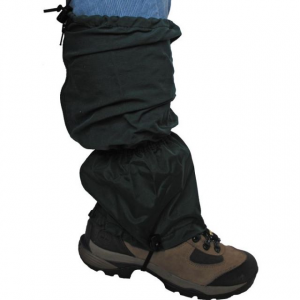 Webbing-reinforced bottom for extra durability secures double grommets and nylon cord under foot." 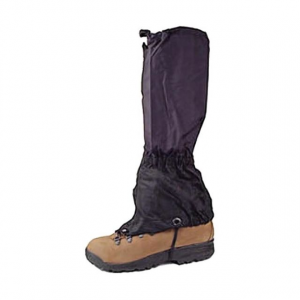 Designed to offer protection and ease of use in rigorous winter environments. 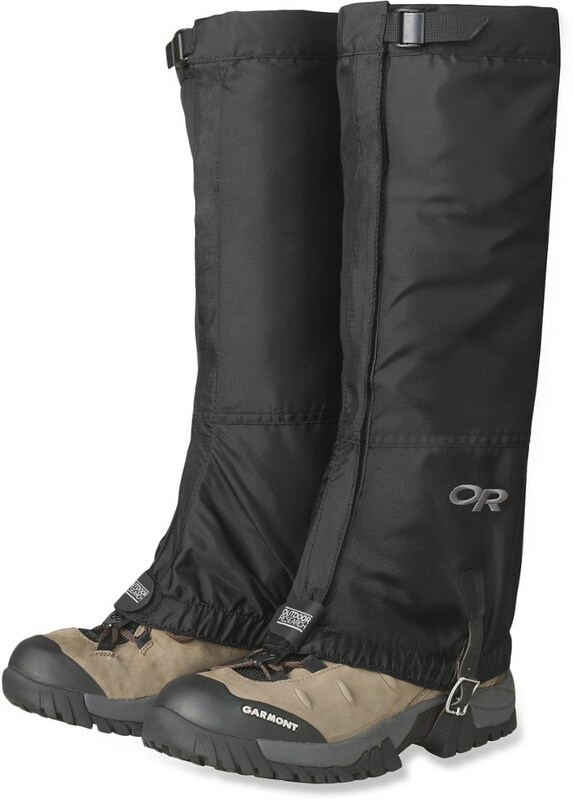 Contour cut with elastic mid and heel section permit comfortable fit over most double boots, as well as smaller ski boots. 7" cordura bottom. 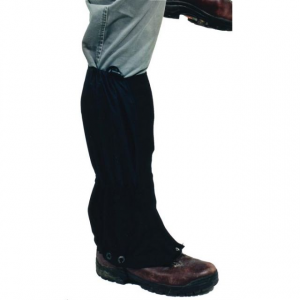 10" waterproof/breathable upper. Lined with Supplex for tougher, higher coverage. Front zipper with Velcro® secured cordura lap. Shock-corded upper with cord lock. Webbing-reinforced bottom for extra durability secures double grommets and nylon cord under foot. Made in USA.